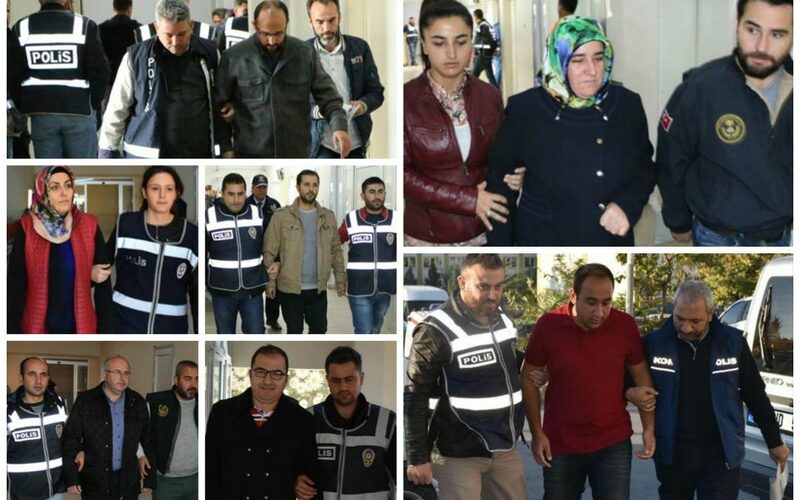 Forty-six staff members of Aksaray University in central Turkey including the university’s former rector were detained on Thursday in the latest wave of an ongoing witch-hunt targeting alleged members of the faith-based Gülen movement. Professor Mustafa Acar, who served as the university’s rector between 2011 and 2015, and the other 45 academics were detained after police conducted simultaneous raids in Konya, Ankara, Adana, Aydın, Mersin, İzmir and Kayseri provinces as well as in Aksaray. The Justice and Development Party (AK Party) government, which launched a war against the Gülen movement following the eruption of a corruption scandal in late 2013 in which senior government members were implicated, carried its ongoing crackdown on the movement and its sympathizers to a new level after a failed coup attempt on July 15 that killed 240 people and injured a thousand others. Although the movement strongly denies having any role in the corruption probe or the coup attempt, the government accuses it of having masterminded both despite the lack of any tangible evidence. Turkish Islamic scholar Fethullah Gülen, who inspired the movement, called for an international investigation into the coup attempt, but President Recep Tayyip Erdoğan — calling the coup attempt “a great gift from God” — and the government initiated a widespread purge aimed at cleansing sympathizers of the movement from within state institutions, dehumanizing its popular figures and putting them in custody. More than 100,000 people have been purged from state bodies, nearly 76,000 detained and 34,000 arrested since the coup attempt. Arrestees include journalists, judges, prosecutors, police officers, military personnel, doctors, court personnel and even a comedian.